We offer the best in Linux Shared Hosting using high-end servers and cPanel/WHM control panels. 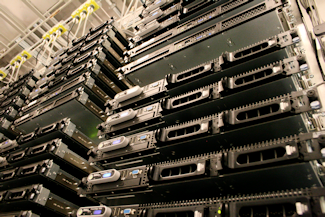 Our 24/7 server monitoring ensures that your site will not be offline. Unique IP addresses, account add-ons and upgrades are available upon request. We reserve the right to refuse service to any site and/or customer without reason. 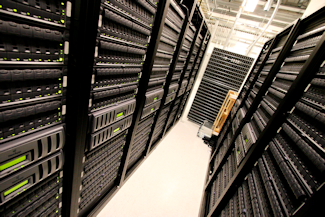 Every hosting plan we offer comes with a full cPanel account and WebMail (Horde & SquirrelMail). If you outgrow the first plan you choose, you can easily upgrade to a bigger one. We will work with you personally to make sure each account is exactly how you want it. Our hosting plan options start at $9.99 per month with all the features you need to get a small or large website up and running. We DO NOT overload and/or oversell our Web servers. We also ensure the "neighborhood" is clean—no spammers or malicious residents allowed. That's why we don't provide automatic online account signup for hosting. All accounts include backups, 24/7 network monitoring, access to raw log files, 10Gbps uplinks in a fully redundant data center and protection against brute force attacks and unauthorized logins by configserver firewall (CSF). Please note that though we do backup all accounts nightly and retain about 10 days worth of backups for each account, you should be doing your own backups, and should never solely rely on your hosting company for backups (Once in a blue moon backups may get corrupted or be unrestorable). Linux cPanel/Web Host Manager - the control panel with the most features and functionality. cPanel delivers the latest website management features, and our administrators provide you with the in-depth knowledge to keep your site running full time, 24/7. We'll create or redesign your website fast! ©2015 Claymania Creations - All rights reserved.